X Minus One is widely considered one of the best science fiction radio series to ever be broadcast. 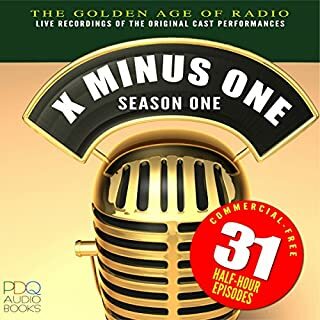 Featuring stories written by Ray Bradbury, Clifford Simak, Isaac Asimov, Robert Heinlein, and other science fiction writing luminaries, X Minus One set the bar for excellence in radio drama. Agonizing predicaments, stellar sound effects, and high wattage Hollywood star power combine in radio's top thriller. 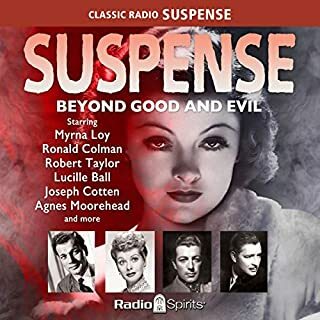 Myrna Loy, Joseph Cotten, Lucille Ball, Robert Taylor, Ronald Colman, and Agnes Moorehead give brilliant performances in blood-chilling stories. Twenty white-knuckled episodes (produced and directed by the legendary William Spier) feature a superior supporting cast, including John Dehner, Howard Duff, Elliott Lewis, William Johnstone, Joseph Kearns, and more. The tension and excitement of this Peabody Award-winning series are well calculated to keep you in...Suspense! Whether boasting about his influence in town, his prowess in the kitchen, his grace on the ice, or his savvy with a rod and reel, no man was ever more determined to stick to his guns - and his story - than Fibber McGee! 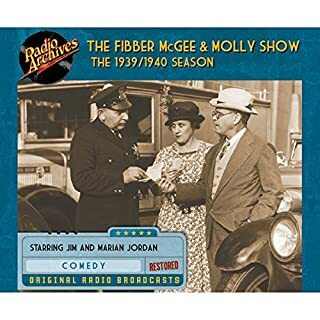 Head on over to Wistful Vista for a visit with the Old Timer, Wallace Wimple, Doc Gamble, and Mayor LaTrivia - and of course, Jim and Marian Jordan as your old friends Fibber McGee and Molly! He takes the same train every week at this time, with tales to thrill you a little and chill you a little! Here's Maurice Tarplin as The Mysterious Traveler, your sardonic seatmate on the fast track to mystery! Rushing you headlong into mistrust, misdeeds, and murder are Phillip Clarke, Staats Cotsworth, Sandra Gould, Santos Ortega, Joseph Julian, Elspeth Eric, Cameron Prud'Homme, and Raymond Edward Johnson, playing the parts of the unwise, the unwary, and the undone. It... is... later... than... you... think! Radio's premier showcase for heart-stopping horror is presented in this collection of 20 great episodes of Lights Out! 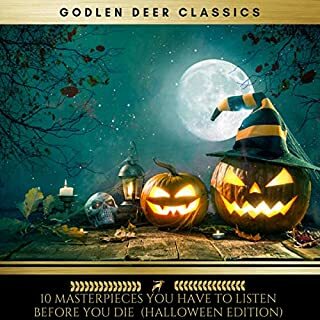 Produced, written, and directed by broadcasting legend Arch Oboler - and starring Boris Karloff, Mercedes McCambridge, Dinah Shore, Gloria Blondell, and more - these tales are devilishly devised to keep you up all night! Laying out all the evidence in the most comprehensive summary ever written about the Ripper, this book, by a London police officer and crime authority, has subjected every theory - including those that have emerged in recent years-to the same deep scrutiny. The author also examines the mythology surrounding the case and provides some fascinating insights into the portrayal of the Ripper on stage and screen and on the printed page. More seriously, he also examines the horrifying parallel crimes of the Düsseldorf Ripper and the Yorkshire Ripper. Here are 12 episodes of the classic mystery radio show The Black Museum. 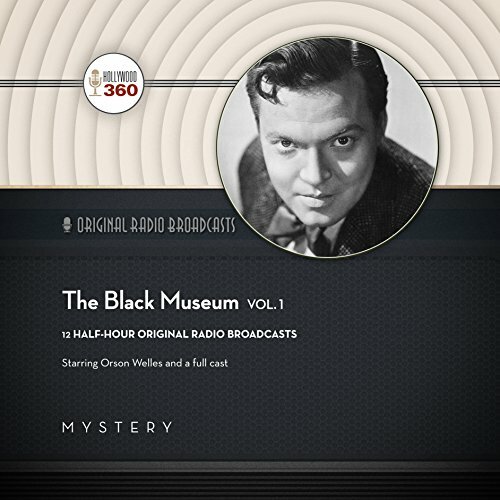 The Black Museum was a weekly radio crime drama produced for the BBC in 1951 and based on real-life cases from the files of Scotland Yard. Orson Welles, who was living in London at the time, was both host and narrator for these dramatized stories based on Scotland Yard's Black Museum, which housed its collection of murder weapons and various ordinary objects once associated with historical crime cases. Walking through the museum, Welles would pause at one of the exhibits, and his description of an artifact served as a device to lead into a tale of terror or a brutal murder. In the weekly opening, Welles stated, "The Black Museum...a repository of death. 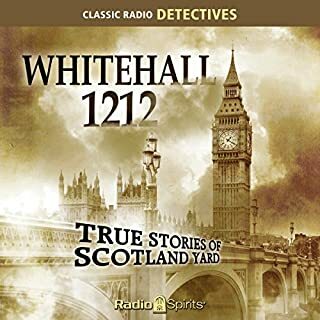 Here in the grim stone structure on the Thames, which houses Scotland Yard, is a warehouse of homicide, where everyday objects...a woman's shoe, a tiny white box, a quilted robe...all are touched by murder." The series aired in the United States in 1952 on the Mutual Network. It was produced by Harry Alan Towers. Ira Marion wrote the scripts, and Sidney Torch composed and conducted the music for the series. 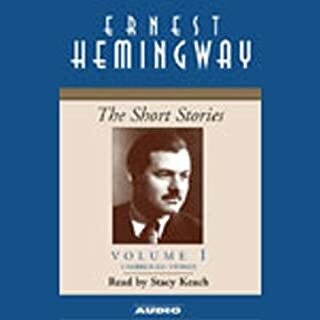 "A Blued .22 Caliber Pistol", "A Wool Jacket", "The Canvas Bag", "An Open-End Wrench", "The Tan Shoe", "The Notes", "The Spotted Bed Sheet", "An Old Wooden Mallet", "A Champagne Glass", "The Small White Boxes", "The Raincoat", and "The Gas Receipt". actors British. They are all quite over the top and nothing like I nor the rest of my Country speaks. I appreciate in that era the BBC did like pigeon English but this is not correct pigeon English. Anyway, it is quite funny but these programs are not supposed to be amusing so this is rather distracting. Wells was always over exaggerated in all he did which is one reason I do not like much of his work. I do think these programs would be much better had Wells not had anything to do with them. se la vive ! These are still enjoyable old radio and I like them.